Two new Prairie Chicken articles in the Houston Chronicle. Farmers and ranchers in the Texas Panhandle could see more green by cultivating habitat for the increasingly rare lesser prairie chicken. Under a novel plan, landowners willing to restore native grasslands for the grayish-brown grouse would sell credits to oil and gas companies and other developers to compensate for acres lost to roads, drilling rigs, transmission lines and wind turbines, among other projects. The Environmental Defense Fund’s plan, if successful, could nudge landowners toward conservation and produce enough habitat to reverse the bird’s decline without the Fish and Wildlife Service imposing special protections. If the federal agency formally classifies the species as threatened with extinction, as it proposed last week, the listing could restrict what farmers, ranchers and companies do on lands they own or lease. “It is a common story, with every listing there are arguments, conflicts and delays, and at the end of the day, we do not have the outcomes everyone wants,” said David Festa, vice president for land, water and wildlife at the Environmental Defense Fund. “These exchanges allow us to break the cycle.” The environmental group tested the approach as part of the recovery effort for the endangered golden-cheeked warbler in Central Texas. The Department of Defense paid nearby landowners to create and build habitat for the bird to replace areas harmed by training operations at Fort Hood. Over the three-year program, the number of warblers grew while the cost per credit dropped, said David Wolfe, director of conservation science for the Texas office of the Environmental Defense Fund. Texas officials used the concept as part of a plan to protect the dunes sagebrush lizard in the oil-rich Permian Basin. The state’s plan, which features voluntary agreements with farmers, ranchers and oil and gas companies to conserve habitat, convinced federal officials last June the sand-dwelling reptile does not warrant listing under the Endangered Species Act. Debbie Hastings, executive vice president of the Texas Oil and Gas Association, said industry supported the plan. “We need access to the minerals, and this plan allows some flexibility to access them,” she said. 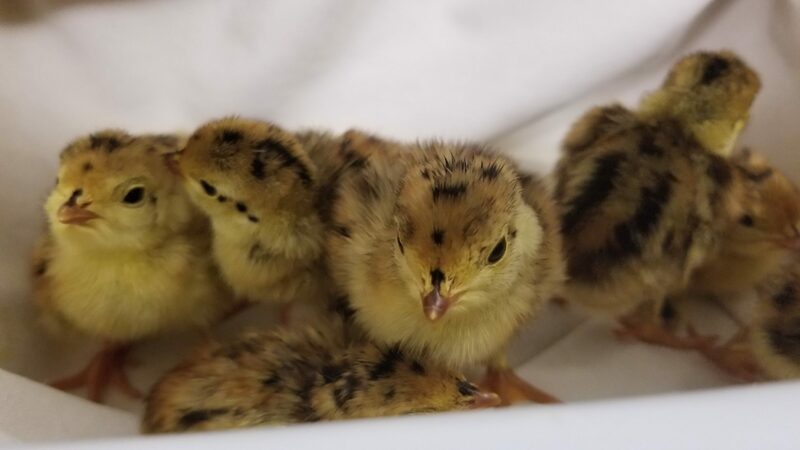 Like the tiny lizard, the lesser prairie chicken sparks direct conflict with livestock grazing, oil and gas development and the construction of wind turbines and power transmission lines. But the grouse’s historical range is significantly larger than the reptile’s, stretching over Colorado, Kansas, New Mexico, Oklahoma and Texas. The Fish and Wildlife Service says the bird has lost nearly 90 percent of its habitat because of human encroachment. The imperiled creature lives only in vast native prairies and areas of low-growing shrubs with few trees or tall man-made structures where hawks and other predators can reside. The prairie chicken’s survival, federal officials say, requires at least four distinct “strongholds” of 25,000 to 50,000 acres of continuous, high-quality prairie. In Texas, nearly all its habitat is on land that is privately owned. Clayton Wolf, director of the Texas Parks and Wildlife Department’s wildlife division, said farmers and ranchers might be more receptive to selling credits rather than property or conservation easements, which could place permanent limits on land use. “Not everyone is comfortable with easements because they do not want to tie the hands of their children and grandchildren, but they might be willing to sell credits,” Wolf said. “It could get people to do habitat improvements without selling outright.” But some farmers and ranchers are hesitant to sign up, citing mistrust of government and undefined goals for the prairie chicken’s recovery. Clair de Beauvoir / Associated Press The Environmental Defense Fund’s plan aims to increase the habitat range for the rare lesser prairie chicken, and thus perhaps avoid an endangered listing.